Get your fundamental training for Forklift and Heavy Equipment Operation. The courses will provide you with the basic knowledge on how to operate heavy equipment such as forklifts. This course also includes hands-On training on the customers site for each employee. Heavy Equipment Operator Training: Provides the necessary knowledge and skills required operate forklifts or heavy equipment at you facility safely. 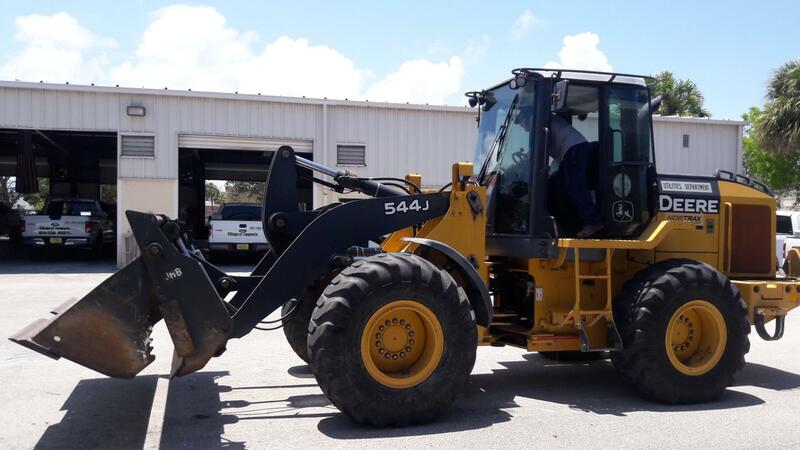 Individuals will obtain class room knoledge and hands-on experience to operate a forklift, tractor, skid steer loader, wheel loader or backhoe to qualify them for a range of heavy equipment operator jobs. Are You in Compliance? The Employer is Responsible for OSHA Compliance for all its Lift Truck Operators. On December 1, 1998, the Occupational Safety and Health Administration (OSHA) published a standard that revised the existing requirements of 29 CFR 1910.178 and issued new requirements to improve the training of powered industrial truck operators. The standard becomes effective on March 1, 1999 with mandatory compliance by December 1, 1999. This new standard is intended to reduce the number of injuries and deaths that occur as a result of inadequate operator training. The powered industrial truck operator training requirements will apply to all industries except agricultural operations. The employer must evaluate the operators’ performance before allowing any employee to use a vehicle in the workplace, except for training purposes. The employer may designate any qualified employee as Trainer/Evaluator. There are no special or additional “Train the Trainer” requirements. OSHA does not certify, accredit or approve any trainers or training programs for powered industrial trucks. The responsibility for compliance with the requirements of the OSHA standard rests with the employer.